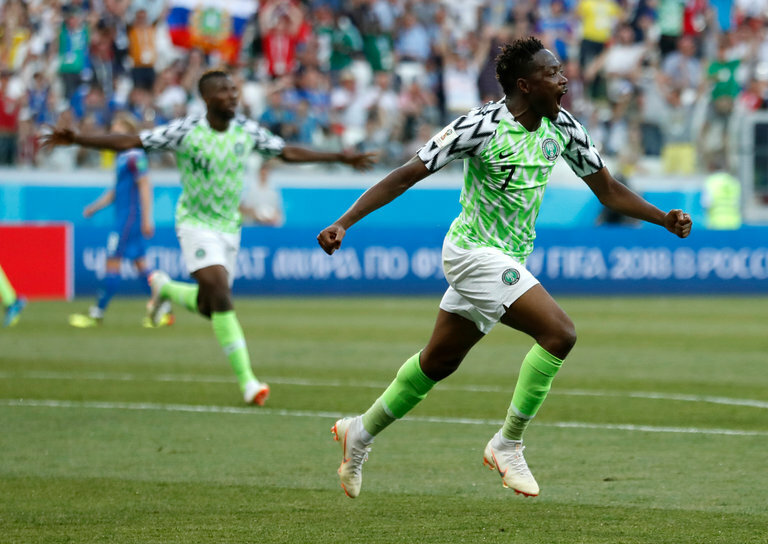 Leicester City forward Ahmed Musa came up and recused the nation by putting up a MOTM performance and scored two goals to give the nation a win over stubborn Iceland. The Leicester City man scored a beautiful volley after receiving a great pass from Victor Moses to make it 1-0 and then later scored a beautiful solo to confirm a 2-0 win for the country. Musa has now given the Nigerians a bit of Assurance, claiming he is ready for Argentina and reveals it is not difficult for him to score against the Albiceleste. We could remember Musa was also the hero for Nigeria during the 2014 World Cup match against Argentina, he got two goals in a mouth-watering encounter but the nation actually lost the game by 3-2. The last group D match is now important for both Nigeria, Iceland and Argentina, as they all need a win to confirm who will be progressing with Croatia in the group.